Hello all! So did you all get a chance to see Charlotte? Isn't she pretty? Well, today we have another preview to show... Mistletoe Lucy!! All new stamps will be available at the SCRS store Saturday Nov 10th! Followed the layout from Sketch For You To Try, colored Lucy up with Copics, and papers are from Echo Park Everybody Loves Christmas. Used White Liquid Pearls all around Lucy and the mistletoe berries. The MS snowflake punch (and a mini craft punch) layers were punched from red textured paper, kraft paper, and matching Echo Park paper, then sponged with white ink, covered with stickles, and finally a pearl gem in the center. 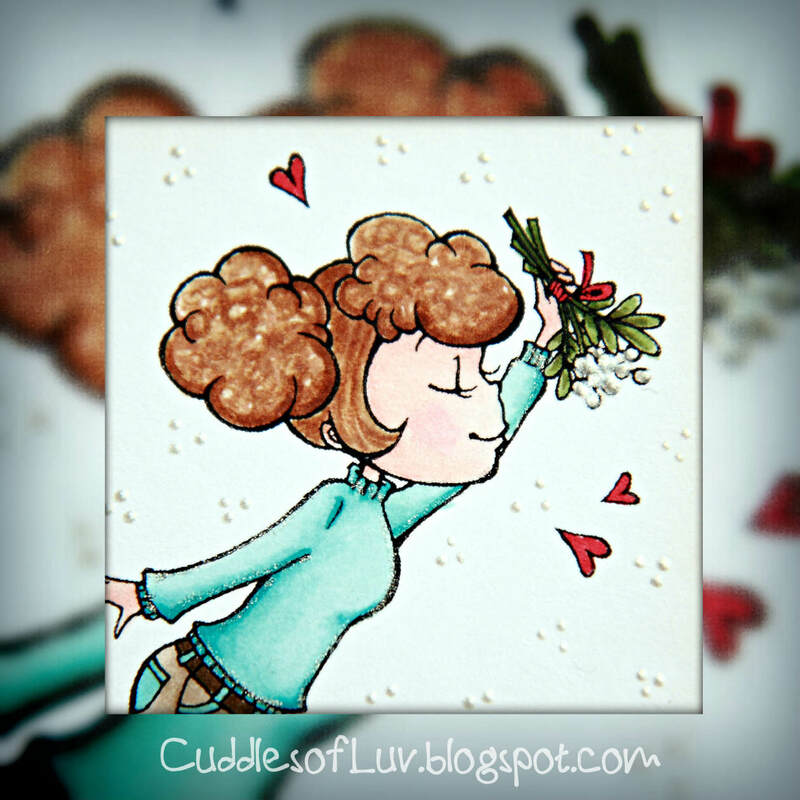 Be sure to visit all rest of the SCRS designers for more peeks of Mistletoe Lucy. Sparkle will be giving away to one lucky person! For a chance to win, you need to comment on all of the designer's blogs (list below). Then head on over to the SCRS blog and comment on the Mistletoe Lucy post. You have until midnight EST tonight to comment. The lucky winner will be announced on Monday! Mimi LeePang - November Guest Designer - you are here! This is beautiful, Mimi! I love the layout! So beautiful, Mimi! Love all the liquid pearl detail! Beautiful! I have blogged about you! This is awesome. Cute image and coloring.